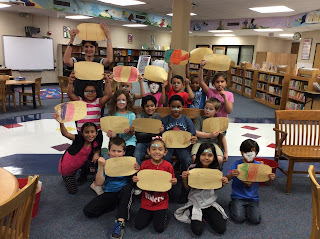 I was at a loss as to what to do with K-2 during poetry month this year. Luckily, the librarians in my district are so willing to share ideas. Here is what I ended up doing with them. 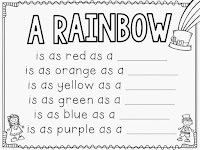 Kinder: "A Rainbow is..." from The Bubbly Blonde Teacher blog. I read My Many Colored Days by Dr. Seuss and then the kinders filled out the rainbow poem. 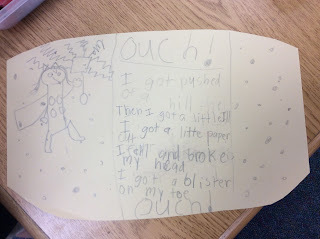 1st Grade: "Ouch" Poem from the First Grade W.O.W. blog. I read about 6 of my favorite poems from Shel Silverstein's Where the Sidewalk Ends. 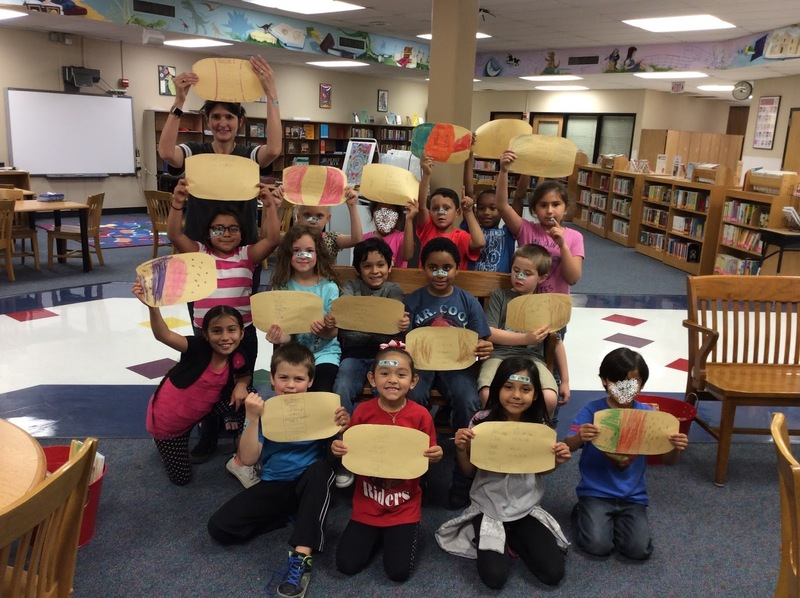 And then read the "Band-Aid" and "Sick" poems. 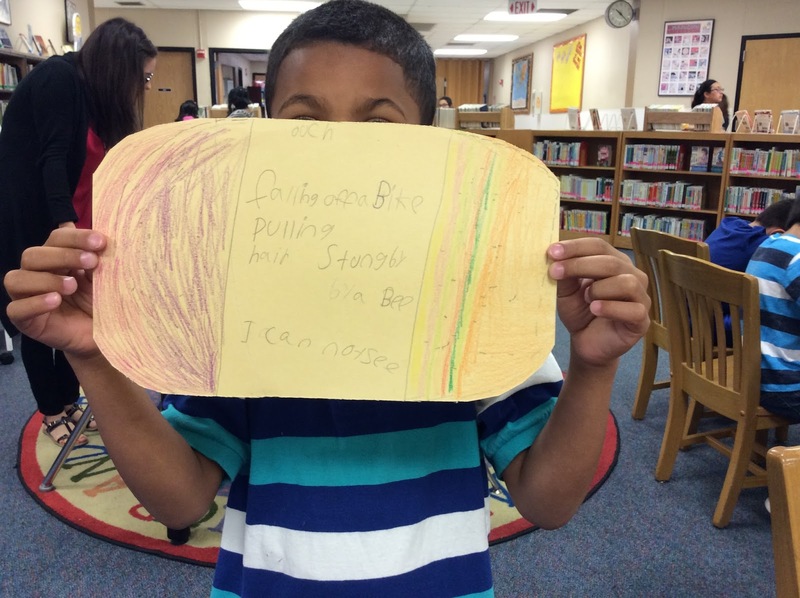 We brainstormed a list of ways we can get hurt and then the wrote their poems. I found some Minion Band-aids at the Dollar Store and gave those to the kids when they finished their poem. I love that this one started to rhyme and then gave up. 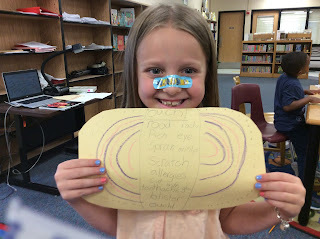 2nd Grade: Shape Poems on the ipad using Theme Poem app and Tagul website. And we finished off the month participating in Poem in Your Pocket Day today.